Get the inside scoop on what to see and do from the experts at Virginia&apos;s Blue Ridge Visitor Information Center. 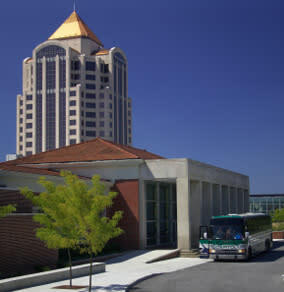 Located in Downtown Roanoke, the Visitor Information Center is centrally located and easy to get to. Our trained travel counselors will provide maps/brochures, information on lodging, restaurants, area attractions, and events during your visit. We are conveniently located inside a historic passenger rail station and offer accessible parking and restrooms. The building is also home to the Loewy Gallery, a free exhibit that focuses on the life and work of Raymond Loewy, the architect who designed the building. 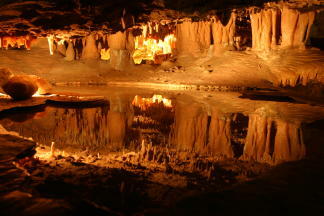 No matter your plans for Virginia&apos;s Blue Ridge, make the Visitor Information Center your first stop! Click here for step-by-step navigation to Virginia&apos;s Blue Ridge Visitor Information Center. The following is a list of all the Visitor Information Centers and Tourism Welcome Centers in Virginia&apos;s Blue Ridge.